Many of your favourite recipes can be made healthier by swapping some ingredients or using a different cooking method. Try some of these simple changes to increase the GREEN and AMBER foods and drinks you provide! Replace with margarine (preferably reduced fat). Replace with canola or olive oil. Use a spray variety, or brush on liquid oil. Replace with evaporated milk (preferably reduced fat). Replace with natural or Greek yoghurt (preferably reduced fat). Replace with coconut flavoured evaporated milk (preferably reduced fat) or yoghurt. Use a reduced fat coconut milk. Use reduced fat and/or reduced salt varieties. Use balsamic or other vinegar-based dressings, lemon juice, herbs and mustards. Use low fat tzatziki instead of mayonnaise. 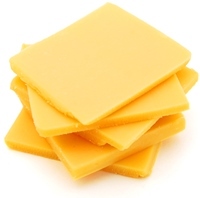 Use cheese with strong flavours and less of it. Use naturally lower fat cheeses, such as ricotta or cottage cheese. Replace with lean ham, skinless chicken or turkey breast. Choose lean cuts and lean varieties. Remove visible (white) fat before cooking. Remove skin from chicken and turkey before cooking. Replace some meat with legumes (beans, lentils, peas). 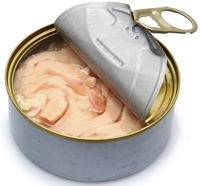 Use fish canned in spring water. Choose reduced salt and/or reduced sugar varieties. Select fruit in natural juice, rather than syrup. Substitute all or half the white flour with wholemeal flour. Add wheat germ or whole grains to white flour in recipes. 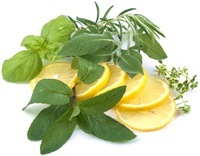 Use fresh or dried herbs, garlic, lemon, juice, vinegar and mustards to flavour foods. Avoid adding salt when cooking. Wherever possible choose reduced salt varieties of foods. Replace all or some of the sugar with fruit puree, fresh or dried fruit. 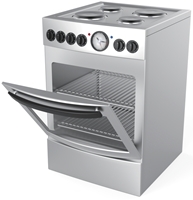 roast or bake with minimal oil (e.g. using oil spray or brushing on oil). Use non-stick cookware or an oil spray (like canola or olive oil) instead of a liquid oil to reduce the amount of fat added during cooking. When baking, use baking paper instead of oil to ensure items do not stick to the tray. Bake crumbed and coated foods instead of frying. Avoid pan-frying or deep-frying items as this increases the fat content of foods.